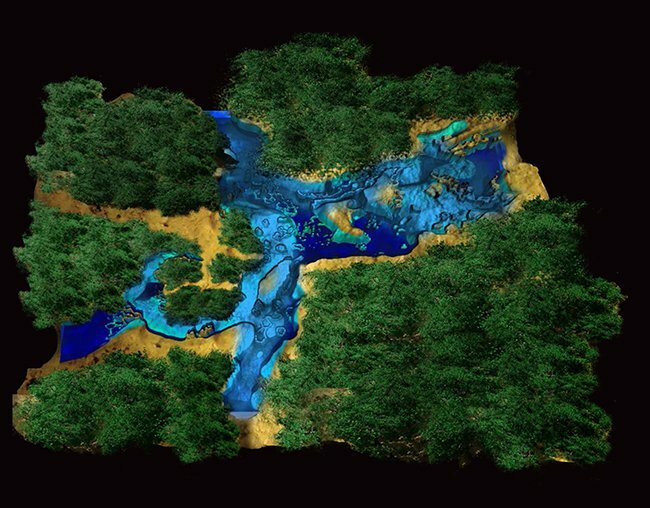 Features: Halocline, natural light effects, abundant fossils. Cenote Taj Mahal was previously known as Cenote Tajmahal. 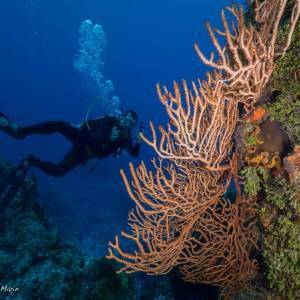 Located 5km south of Puerto Aventuras, in the Xpu Ha area, literally a 5 minute drive from Divers UnderGround! 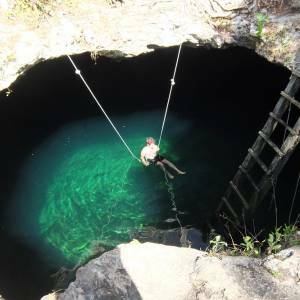 As you begin the dive, you will pass under a huge air filled Cave, home to a few bats. Their entry and exit points are like windows providing amazing rays of sunlight. 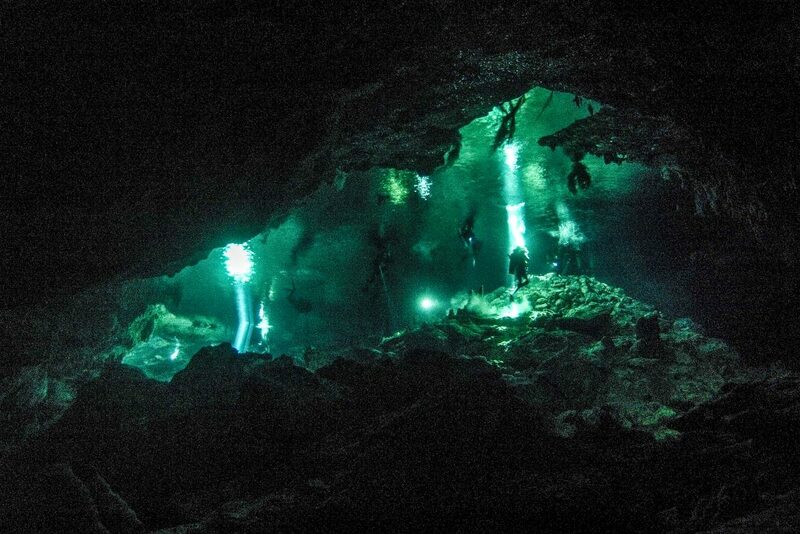 As you continue the cavern dive, you will pass thru another three Cenotes; Cenote Sugar Bowl, Cenote Room of Lights and Cenote Esmeralda. 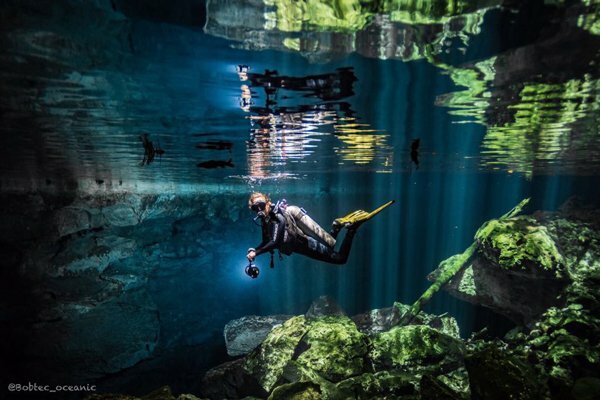 That is four Cenotes in one dive! 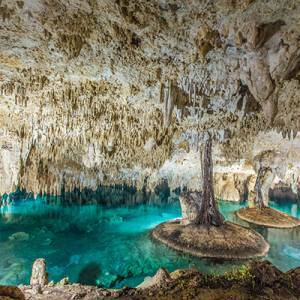 Each one showing an amazing and unique light show, decorated with stalactite and stalagmite and hidden fossils. 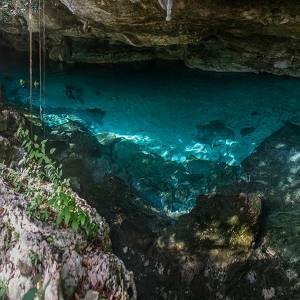 The halocline can be found at the deeper part of the Cenote and visually creates an incredible layer that can be seen where the fresh water meets the salt water. Clearly the original name Taj Mahal came form its natural grace of perfection and grandeur of rock formations, haloclines, light effects and fossils making this Cenote an exceptional dive, very different from all the others. 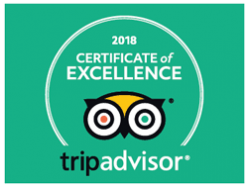 Besides being an amazing Cavern Diving site, it is also a great place for Full Cave Diving training and already certified Full Cave Divers.